ASTER is ideal for use in libraries and museums as an inexpensive and efficient way to computerize libraries, reading rooms, and museums. An affordable price and lower expenses for equipment purchase. In addition to its cheap price, ASTER makes it also possible to save money to save money on hardware purchases, because you do not need to buy extra system units. Low noise level. All workstations, except the main one, are free of the noisiest component, i.e. the system unit, which is significant for libraries, where strange noises may distract readers from their work with documents. Less space. 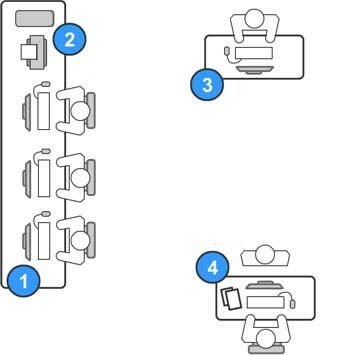 As there is actually only one complete computer, the system takes up much less space, which allows you to make a more efficient use of your facilities. Availability of ASTER editions for a different number of workstations (from two to six) provides an optimal version for your particular case. 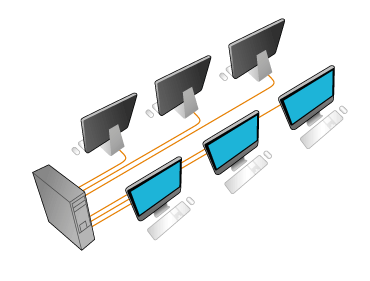 No need for a local network among the stations, as all stations work from the same system unit. Internet and peripheral devices (printers, scanners, and others) are automatically accessible from all workstations. Electric power can be saved. It is no secret that it is the system unit which consumes the major part of the entire energy supplied to the computer system. Using ASTER, you can cut down on your power consumption. Considering the above, ASTER can be highly recommended for application in reading rooms, libraries, and museums.